DirectX ray tracing is a new technology co-developed by Microsoft which holds big promise for creating a more life-like gaming experience, but not every graphics card maker may be equipped for it just yet. Although Nvidia already supports the tech on its high-end new GeForce Turning series of chips, AMD has now hinted it doesn’t feel like ray tracing will be ready until it comes to all level of graphics cards. 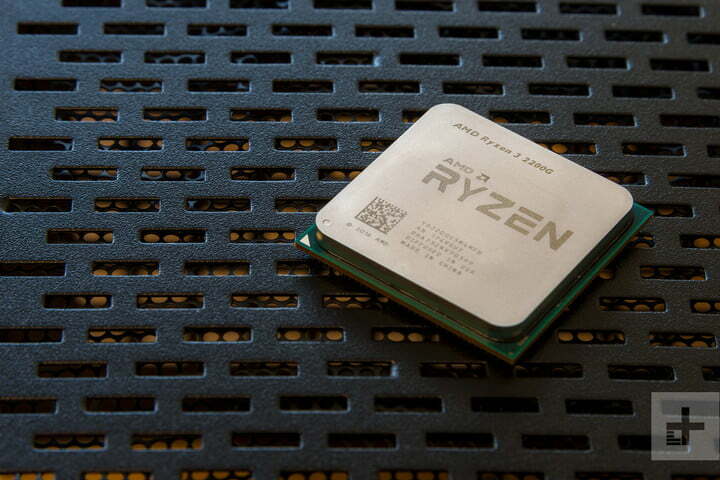 In an interview with gaming site 4Gamer, David W--g, senior vice president of engineering for Radeon Technologies Group, mentioned that, while AMD can support DirectX ray tracing, it currently has no plans to do so. Instead, W--g pointed to AMD’s own Radeon ProRender technology which enables similar gaming enhancements for developers, but for free. W--g also mentioned the need for ray tracing to reach out to both cheap and expensive graphics cards, before taking it seriously. “For the time being, AMD will definitely respond to direct ray tracing … for the moment we will focus on promoting the speed-up of offline CG production environments centered on AMD’s Radeon ProRender, which is offered free of charge … utilization of ray tracing games will not proceed unless we can offer ray tracing in all product ranges from low end to high end,” said W--g.
Though the interview obviously doesn’t hint at new AMD products, it gives hope that low-end graphics cards might one day support ray tracing once it eventually catches on with most consumers. In this case, it also basically means AMD can instead sit and watch as Nvidia develops the technology. This is all a big enough win for Nvidia and those with big pockets who are buying the new RTX 20-series cards, such as the RTX 2080 Ti, RTX 2080, and RTX 2070. For now, it looks like only these high-end graphics cards will support ray tracing. The year 2020 and beyond could likely bring more graphics cards with ray tracing, but for now, just don’t count AMD in. Ray Tracing is not new, something TomsHardware pointed out in their article, but the computational expense has kept it out of the realm of consumer hardware, until the nVidia RTX series -supposedly- accelerates it so it is available to the consumer without sacrificing significant performance while providing a detail boost to justify it. Proof that it can has yet to be proven by reputable third party sources. Plus nVidia doesn't have a great track record of new technology success. nVidia 3D Vision anyone? Here is 4K performance data from Techpowerup's website. I think this data really illustrates the issue NVidia has with the current implementation of DXR. The 2000 series can run games at playable frame rates at 4K, or with DXR enabled, but not both. Most enthusiast willing to shell out money for an RTX 2070/2080/2080Ti likely already have a 4K monitor. Now to use DXR, you need to scale back the resolution, which will actually make the visuals look worse. 1080p on a 4K screen has an individual pixel mapped to a four pixel square on the screen, which actually looks worse (on a big enough screen) than 1080p graphics on a 1080p screen. Do the better reflections make up for the loss in visual fidelity? Probably not. The alternative is to run the GPUs with DXR disabled, which effectively makes them exactly the same as the 1000 series, with the added caveat that the 2080 Ti is a new level of performance not previously available in the 1000 series. Now for users with 1080p displays (which is still the most common resolution in the market) this would seem to be a great thing. But users still on 1080p are not typically the users willing to shell out $500+ for a GPU. Even at 1920x1080 either a 2080 Ti or a G-Sync monitor is required to not drop below 60fps. Single player Vsync lock at 30 sure, but in multiplayer that's not really an option.